Hon. Tilak Marapana, Minister of Foreign Affairs, who is on an official visit to China to attend the celebrations of the 60thAnniversary of diplomatic relations and the 65th Anniversary of economic relations between Sri Lanka and China, met with Chinese Vice Premier H.E. Wang Yan on 1st November 2017 in Beijing. Warmly welcoming Minister Marapana and the Sri Lanka delegation, Vice Premier Yan recalled the friendship between the two countries and appreciated the Minister’s visit to China. Minister Marapana congratulated the Vice Premier on his elevation as a member of the Standing Committee of the Politburo of the CPC and mentioned that the friendship between Sri Lanka and China can be traced back to the 4thCentury. In this regard, the Minister recalled the Rubber-Rice pact and the visits of former Prime Minister Madam Sirimavo Bandaranaike to China and former Premier Zhou En-Lai to Sri Lanka as milestones of the Sri Lanka-China relations. Recalling the uninterrupted friendship between Sri Lanka and China, Minister Marapana observed that the government change in 2015 did not affect the friendship between the two countries. He further stated that the visits to China by President Maithripala Sirisena in 2015 and Prime Minister Ranil Wickremesinghe in 2016 and in 2017 have added much impetus to the bilateral relations. 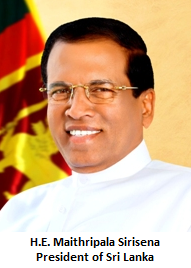 The Minister also stated that Sri Lanka has never deviated from the One China policy. Speaking on the Chinese ventures in Sri Lanka, the Minister said that the projects such as the Colombo Port City are smoothly continuing. He also appreciated the prompt relief assistance provided by China to Sri Lanka in natural disasters. Minister Marapana stated that Sri Lanka is open for Chinese investments, industrialization, and further friendship. In response, thanking the Minister for the best wishes, Vice Premier Yan observed that the Belt and Road initiative provides a better platform for a new open economy and since Sri Lanka has a favourable geographic location it could benefit largely from the initiative. The Vice Premier emphasized the need for the right direction of the Sri Lanka -China relations and said that the Belt and Road initiative is highly compatible with Sri Lanka’s aim of becoming the financial centre of the Indian Ocean. The Vice Premier further stated that China is ready to work on reducing the trade imbalance and to support economic and social development in Sri Lanka. 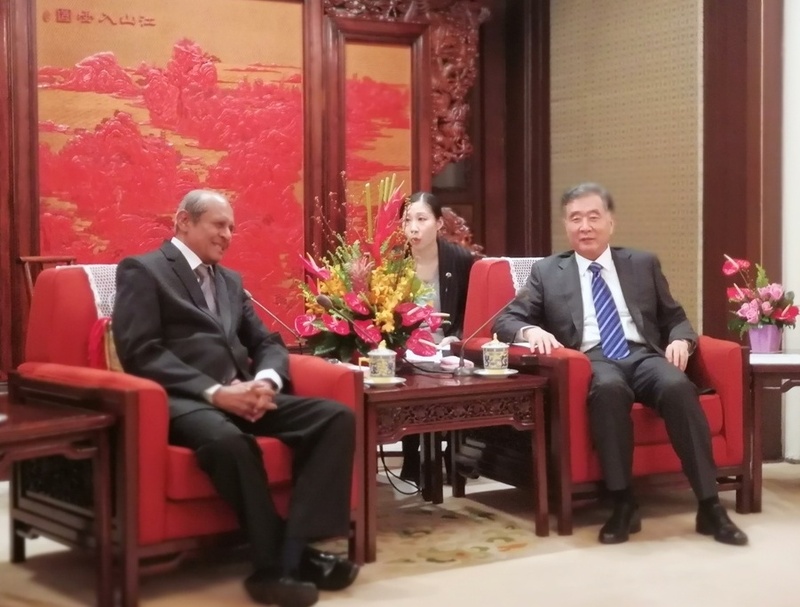 At the end of the meeting, Ambassador of Sri Lanka in Beijing Dr. Karunasena Kodituwakku who accompanied the Minister, congratulated the Vice Premier on his contribution to develop the Guangdong Province, adding that the Sri Lankan Prime Minister wishes to follow the Shenzhen model. Shenzhen is the richest city economy in the Guangdong Province. Mrs. Shani Karunaratne, Deputy Chief of Mission, Embassy of Sri Lanka in Beijing, Mr. Janaka Marapana, Private Secretary to the Minister of Foreign Affairs, Ms. Inoka Weerasinghe, Third Secretary, Embassy of Sri Lanka in Beijing and Mr. Sameera Dayasekera, Assistant Director, Ministry of Foreign Affairs also accompanied the Minister to the meeting.